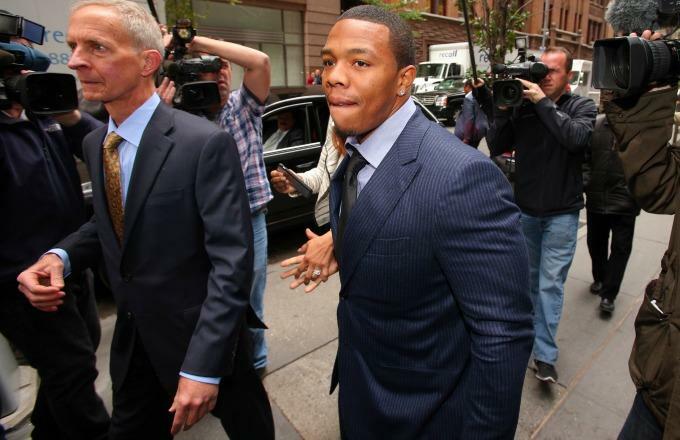 It’s been almost exactly one year now since Ray Rice and his then-fiancé Janay Palmer were involved in a domestic violence incident inside of an elevator in an Atlantic City, N.J. hotel and casino. It turned their worlds upside-down. Since then, they’ve been through a lot—they’re married now and are still actively working to move past the incident—and it appears as though Rice is going to try to continue on with his NFL career next season after sitting all of last season out. This is not a farewell or goodbye. The last seven years that my family and I have spent in Baltimore have by far been the best of our lives. From the bottom of my heart, I thank you all for the love and support you’ve shown my family and I throughout my football career. We’ll always be grateful for the love we’ve received from all of our fans and supporters, and for winning a Super Bowl. To all the kids who looked up to me, I’m truly sorry for letting you down, but I hope it’s helped you learn that one bad decision can turn your dream into a nightmare. There is no excuse for domestic violence, and I apologize for the horrible mistake I made. I hope you can find it in your heart to forgive me, and I hope to make a positive difference in people’s lives by raising awareness of this issue. Thank you, Baltimore Ravens, for all you have done for my family and I. I’m very grateful to Steve Bisciotti, Ozzie Newsome, John Harbaugh, and everyone at 1 Winning Drive. I love you all very much, and I’ll always be proud to say I played for the Baltimore Ravens. As of right now, Rice is an NFL free agent. The Baltimore Sun reports that he hasn’t worked out for any NFL teams yet this off-season but that he is currently working out and hoping to get a tryout sometime soon. This entry was posted in Sports and tagged athletes, Baltimore Ravens, domestic abuse, Janay Palmer, NFL, Ray Rice. Bookmark the permalink.